If you practice yoga or know much about it, you’ll have seen the yoga pose “chaturanga dandasana” or four limbed staff pose (see photo). You will also know it is not an easy pose to do. It requires significant global strength and motor control (aka finesse and body awareness). What many do not realize though, is how equally effective AND high-risk the pose can be. I clicked on the link and was taken to a short post that discussed how the serratus anterior was the champion of shoulder joint stability. Now – to clarify – the serratus anterior does contribute to scapular stabilization, but it doesn’t act alone, nor is the chief stabilizer of the glenohumeral or scapulothoracic area. Still, I was pleased that the article addressed a commonly overused and overwhelmingly abused posture. Safe yoga depends on smart yoga. (i.e. having a knowledge of joint alignment laws and muscle recruitment patterns). There is more to yoga than stretching. The shoulder complex and its four joints (scapulothoracic, glenohumeral, acromioclavicular, and sternoclavicular) comprise a sophisticated network of osteokinematic (range of motion of a joint) and arthrokinematic (glide, spin, and roll in a joint) movements, making for a number of multi-joint and connective tissue force couples in the shoulder region. Yoga, because of its complex system of postures, is a perfect fit for both open and closed kinetic chain rehabilitation, strength training and conditioning, and neuromuscular re-education. Chaturanga, or yogic push-up, is an advanced yoga posture learned over a period of time in yoga practice. 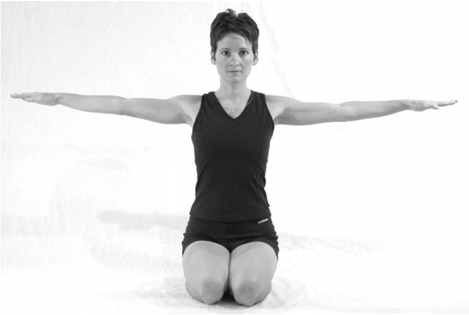 However, the following pre-posture, called “Arm Spiral,” can be taught at any level and incorporated into your integrative medicine practice right away. 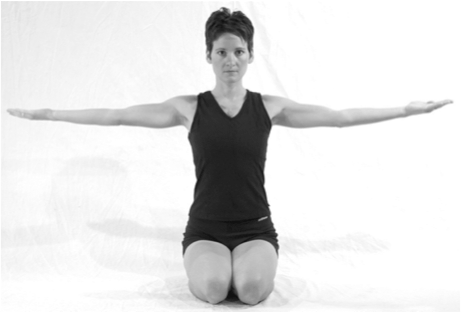 Arm Spiral is one of many accessible yoga preparatory postures taught in the Medical Therapeutic Yoga courses available through Medbridge Education, and is used in the Diagnostic Algorithms of the Professional Yoga Therapy Certification program. The posture preserves spinal curves and maintains co-contraction for scapulohumeral rhythm and scapular stabilization. Dynamic Modifications made to the posture can make it accessible for all patient and wellness populations. The action of the posture does not use scapular protraction or retraction, until it is used in a closed kinetic chain position. Even then, the scapula should feel depressed and the movement initiated from the lower trapezius and inferior force coupling, rather than from the upper trapezius or isometric contraction of the rhomboids. Neural tension can be assessed in the median and radial nerves from this posture. Those with rotator cuff lesions, often resulting from shoulder impingement, require modification. 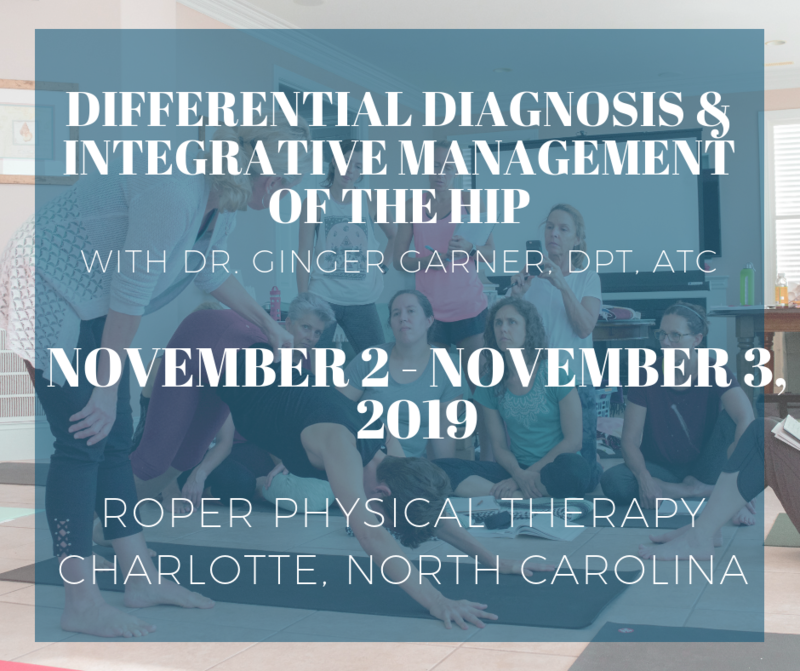 More modifications and clinical applications, static restorative approximations, are covered in Module 8, Yoga as Medicine I, the lab companion course to Medical Therapeutic Yoga A and B (Modules 1-7) offered through Medbridge Education, which introduces arm spiral as one of a set of postures used for assessment and injury prevention. Lee, Diane BSR, FCAMT, CGIMS “Pelvic Stability & Your Core” Presented in whole or part at the: American Back Society Meeting – San Francisco; BC Trial Lawyers Meeting. 2005. Thanks for the ping Soulful Healing!